My mission is to help guide our athletes to achieve their greatest potential and have fun doing it. We aim to combine an optimal balance of “real life” and training time so our athletes get the most out of each workout while maintaining balance in their everyday life. 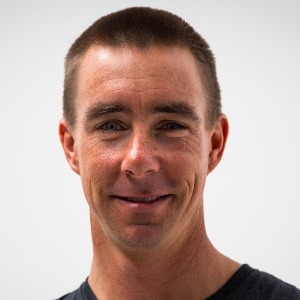 Todd started racing BMX at the age of five and did so through out High School before the mountain bike. He moved to Durango to race for FLC cycling and study Exercise Science before landing a contract and putting school on hold. The contract went away and he decided to finish school at the University of Arizona earning a Business degree in Management Information Systems. A short career at IBM had him longing for the outdoors and the cycling life he gave up. It became his mission to get back on the bike and within a year he had a new contract and has been racing ever since. Todd has experimented with different coaching philosophies and tools over the years to hone his own style and program. He has intimate knowledge of many of the biggest races in the World and what it takes to succeed in them. He also has a family and realizes that demands life and work have on any training program. Success. Coach Todd Wells has been notified of your message.